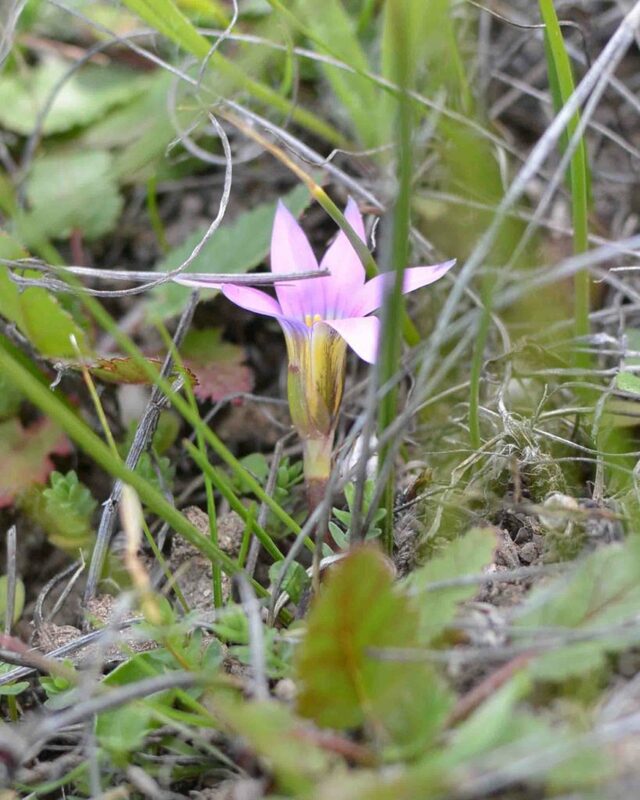 Escaping from cultivation, this has become naturalized at Point Lobos and nearby. 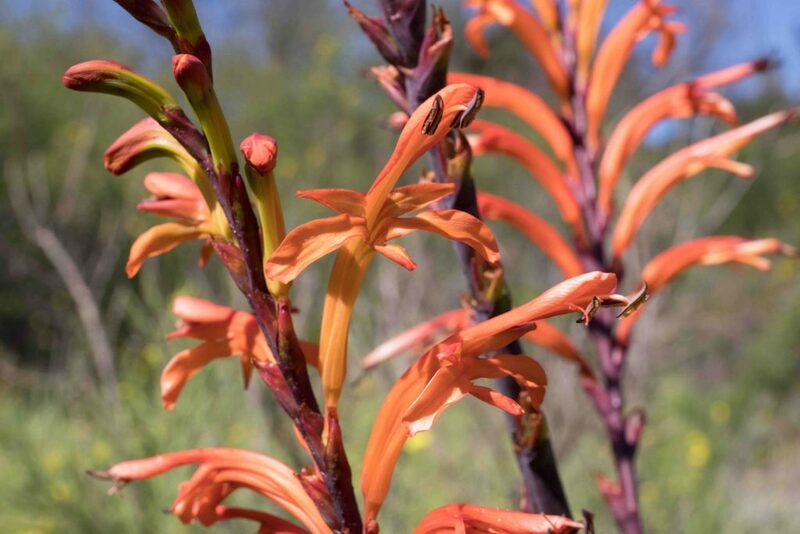 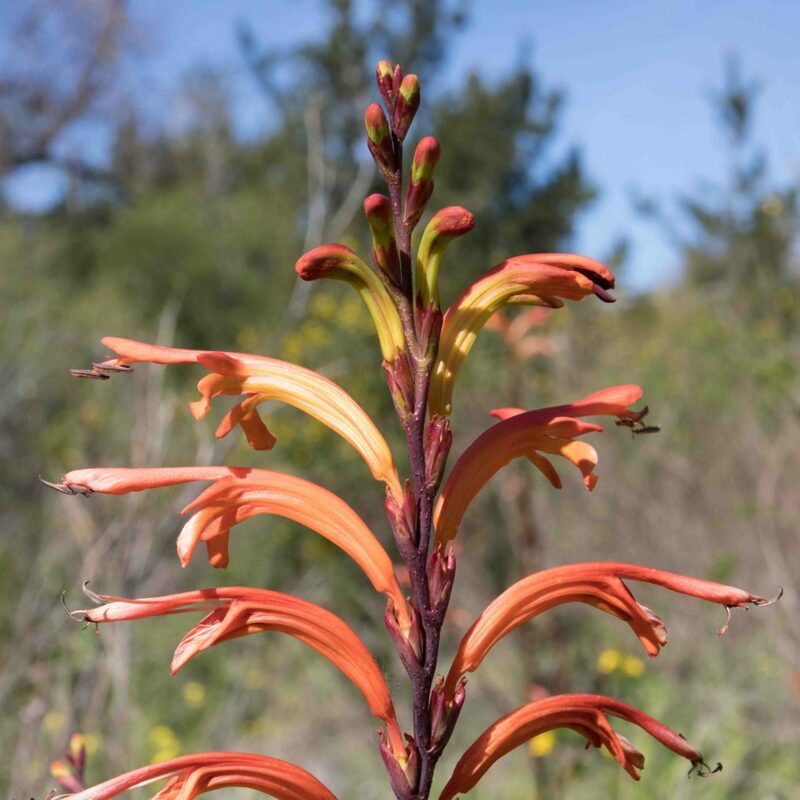 A dramatic plant with a dense clump of long basal leaves and a 1–2 branched stem bearing large clusters of orange-red flowers in two ranks (i.e. 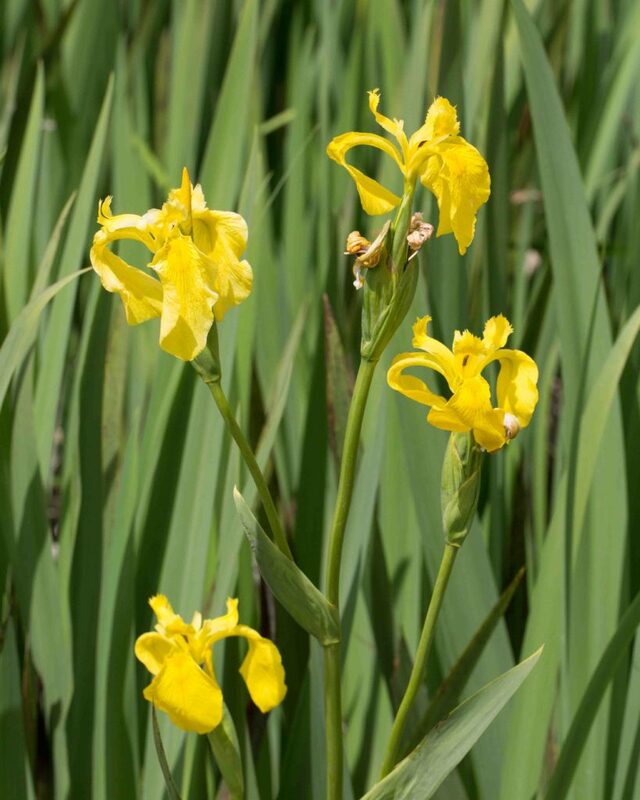 borne alternately on opposite sides of the stem) like a many-branched candelabra. 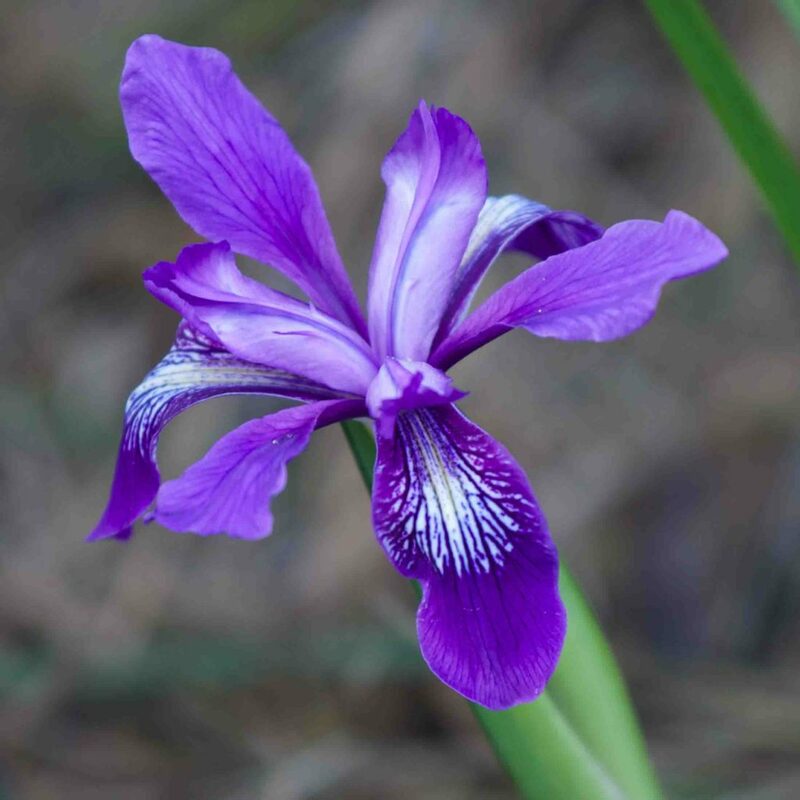 This beautiful iris is common in coastal areas. 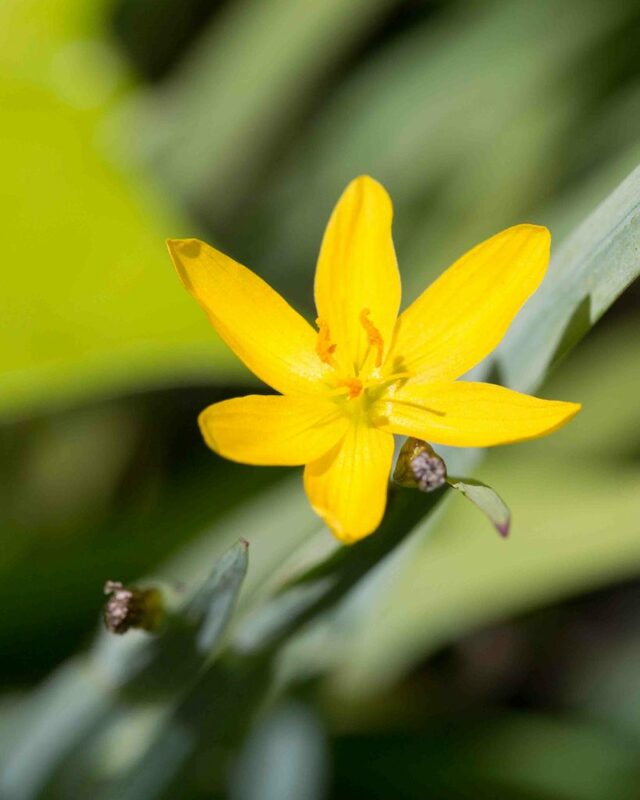 The flower comprises 3 long petal-like sepals which are broad and down-curving and 3 narrower, shorter and more erect petals. 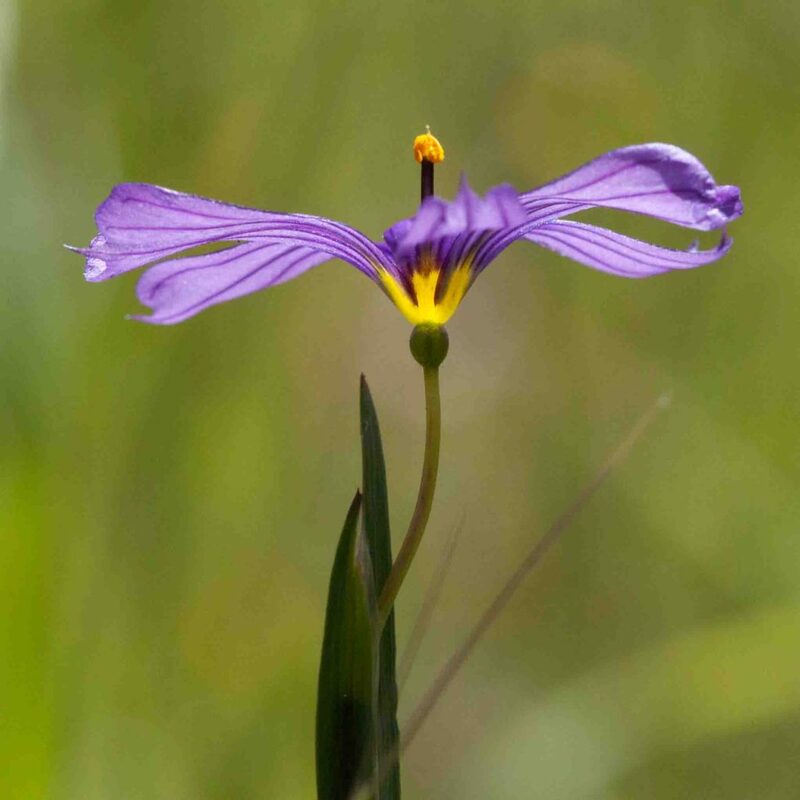 Above each sepal is a style branch, another petal-like structure with an upturned tip. 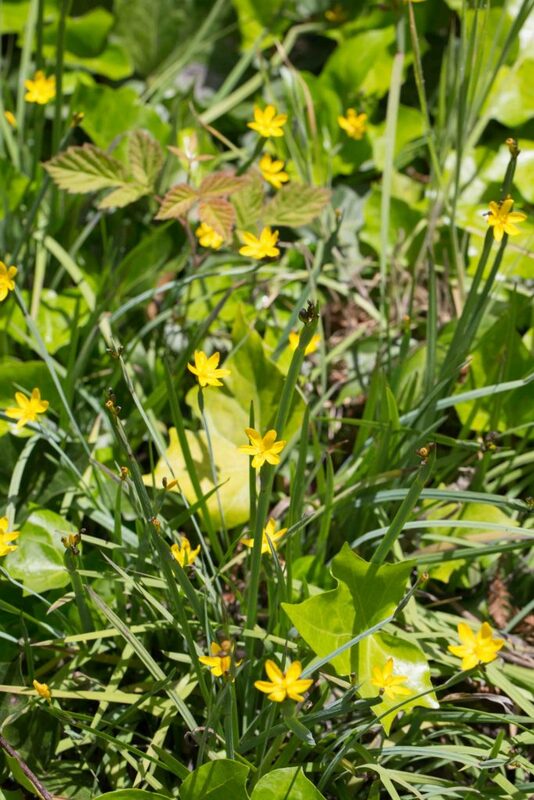 Leaf blades are long and curving, attached edge-wise to the stem. 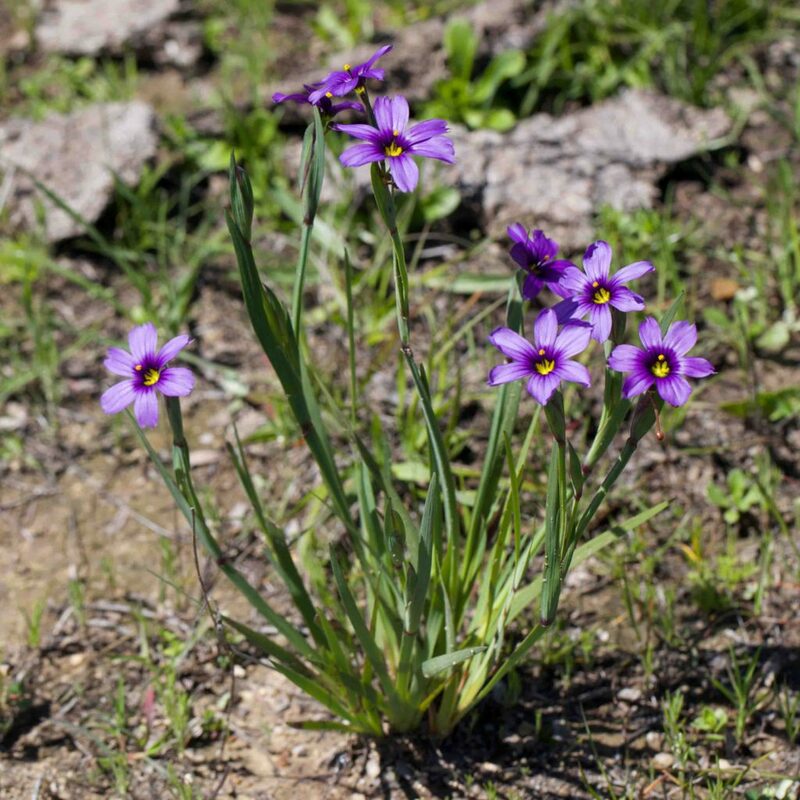 The flower varies in color from lavender through to rich blue-purple, generally with white veins and a yellowish patch towards the base of the sepal. 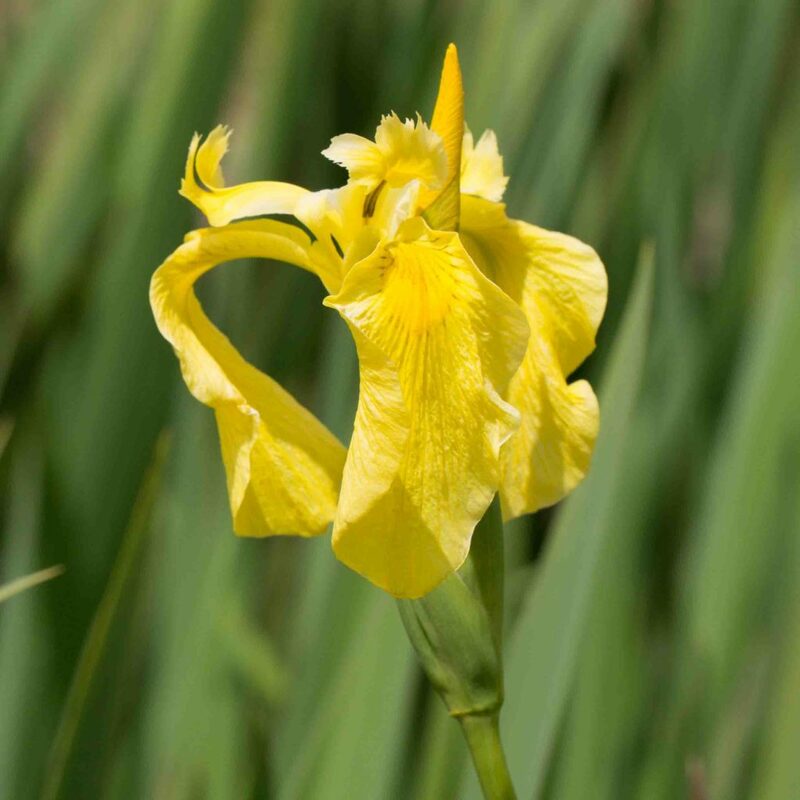 A typical iris in its appearance but unmistakable with its bright yellow flowers. 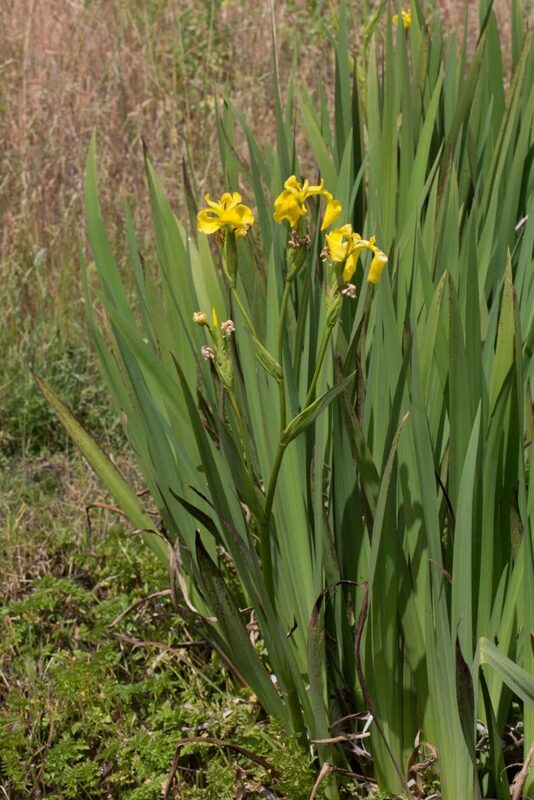 Found on pond margins. 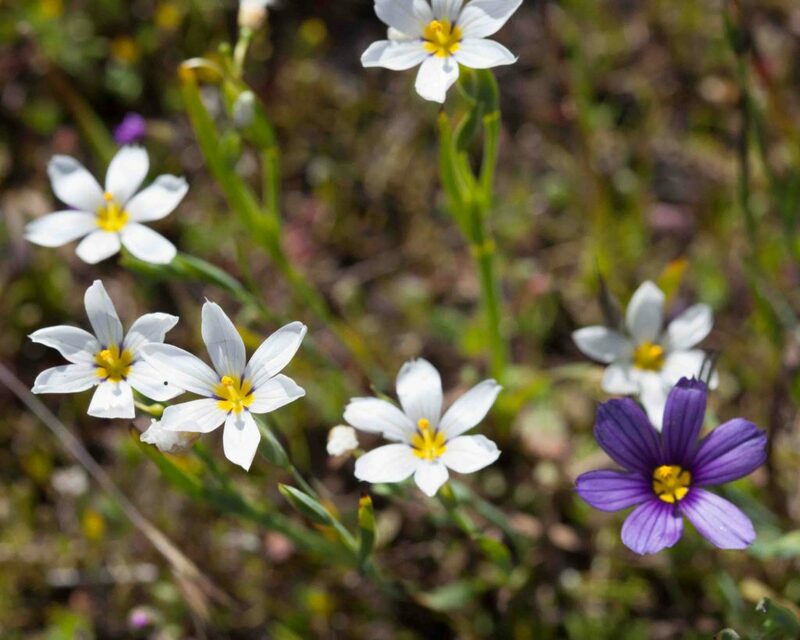 Despite its common name, this flower is more purple than blue (occasionally white) and has a vivid yellow throat. 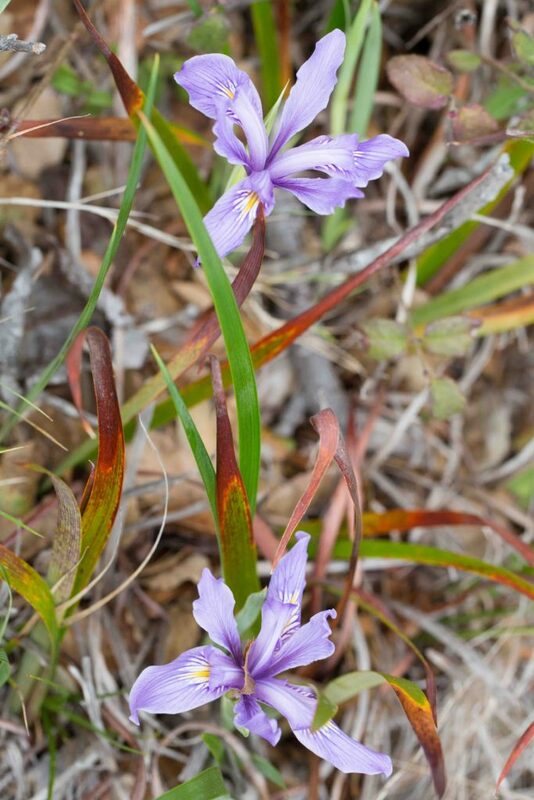 Lanceolate leaves clasp each other in true iris fashion. 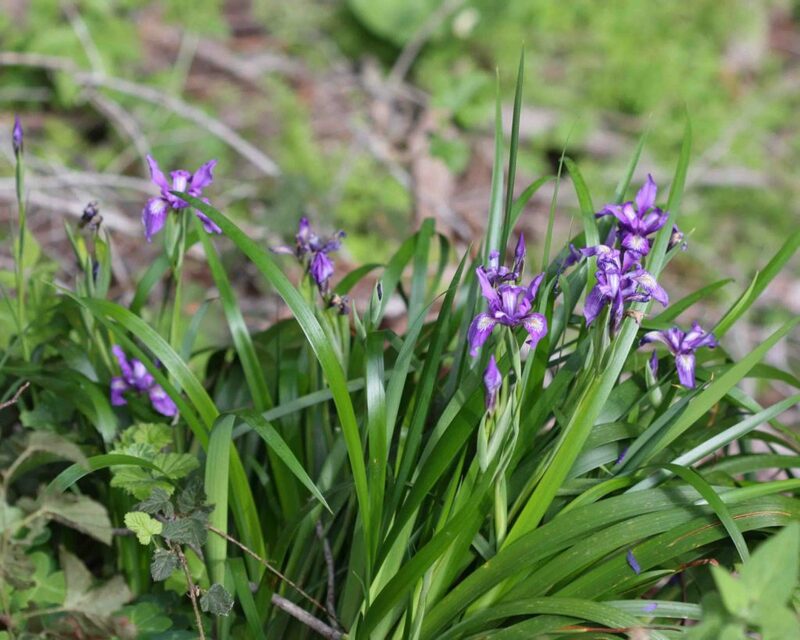 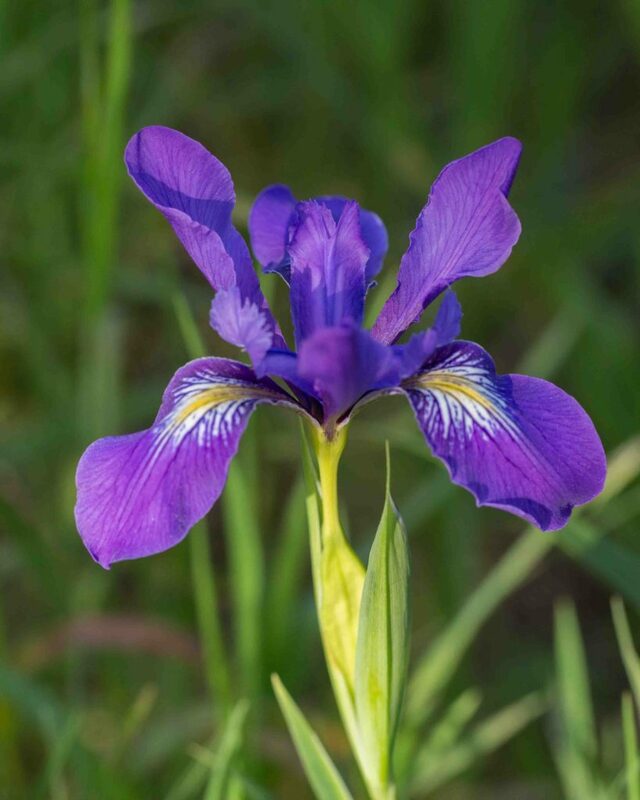 Purists ridicule the common name as being incorrect on all counts, preferring something like “yellow-eyed purple iris”. 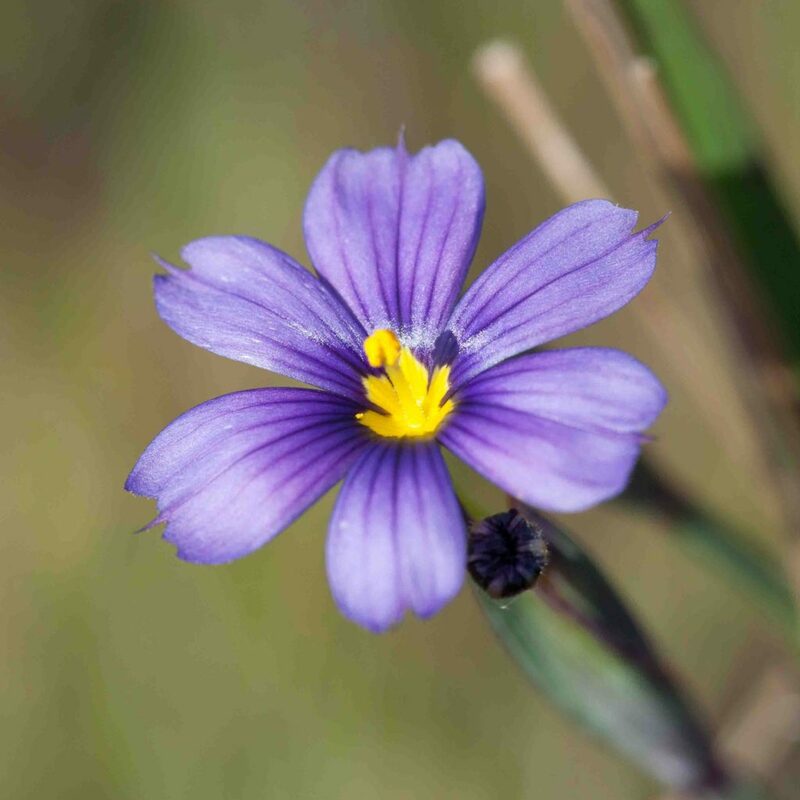 Similar in size and shape to the more common Blue-eyed Grass (Sisyrinchium bellum). 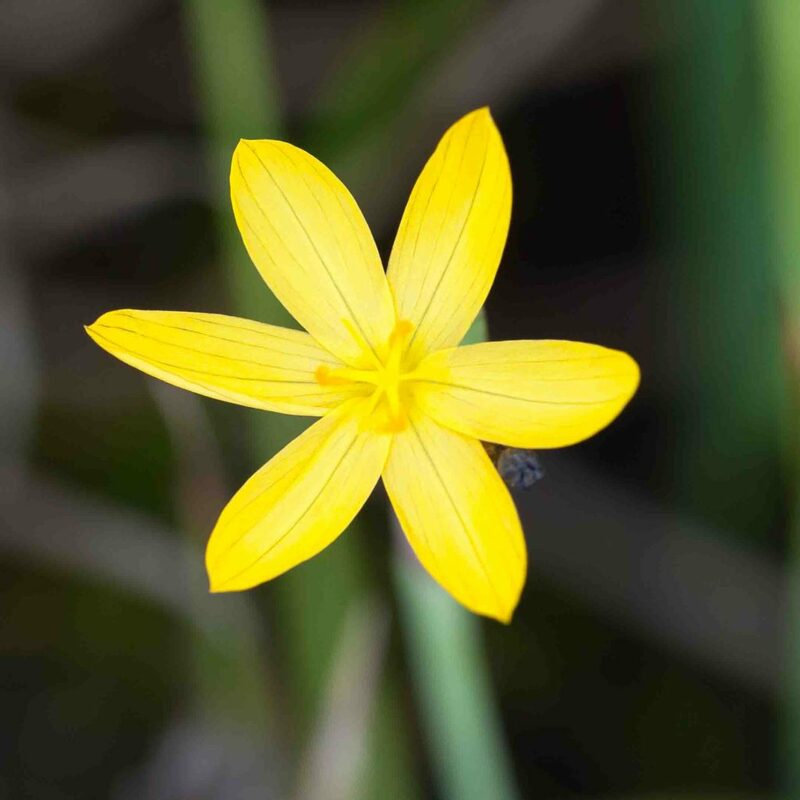 The flower is bright yellow with slightly darker longitudinal stripes. 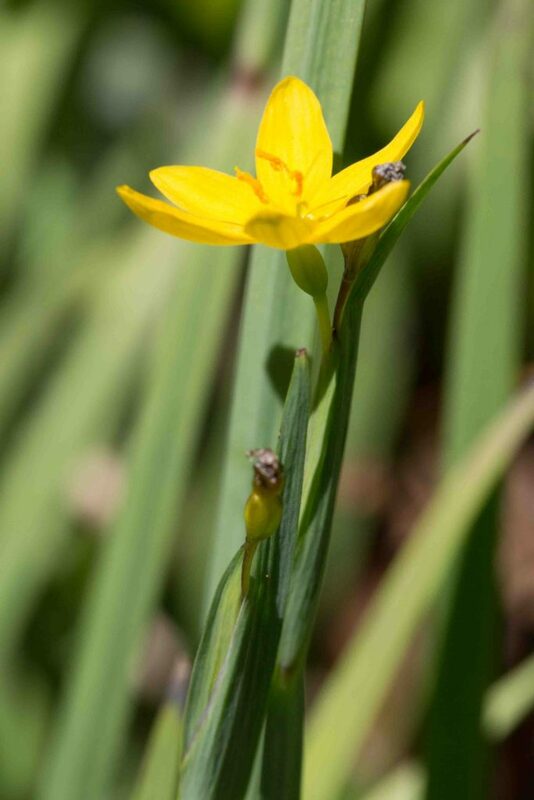 It has grass-like leaves and jointed stems. 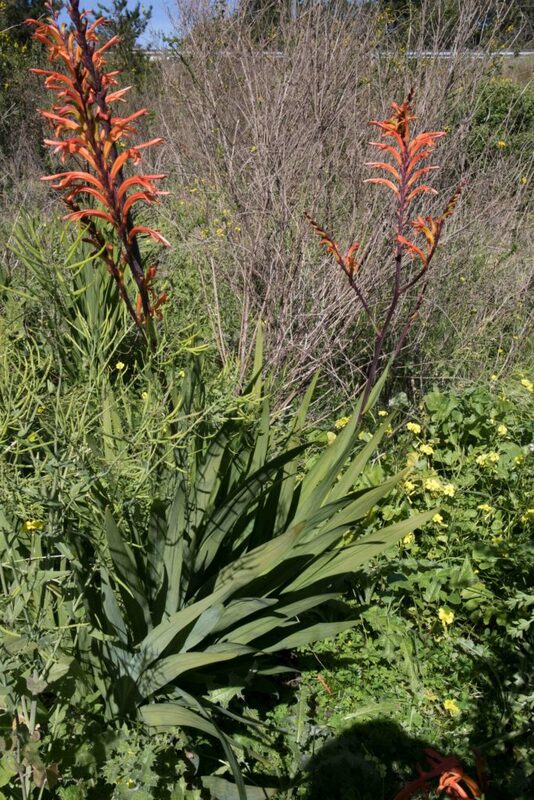 A garden escape, originally in the Carmel Highlands but now occasional across the Monterey Peninsula. 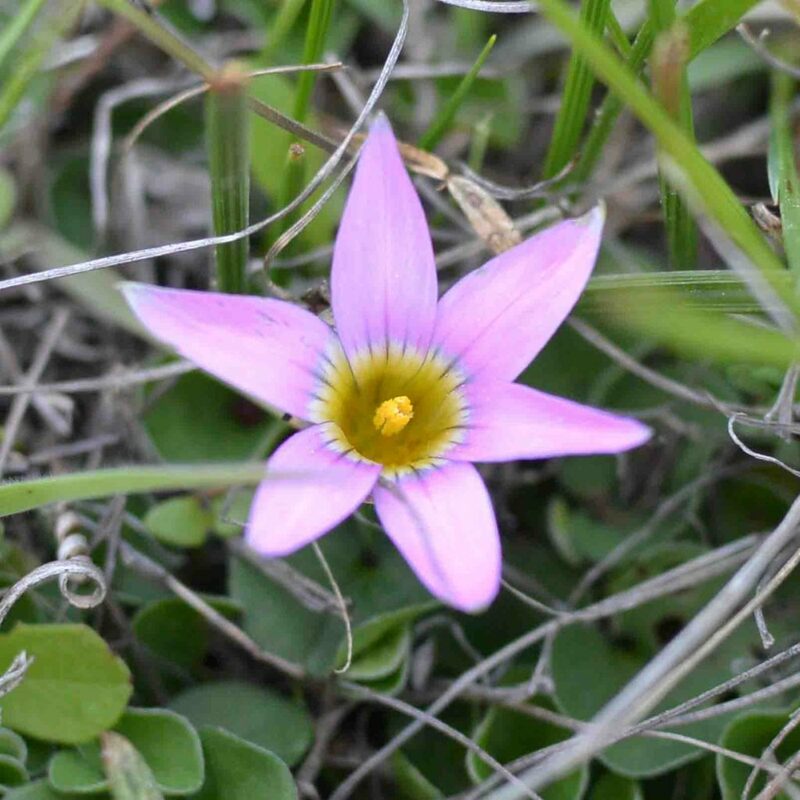 Flowers are 15–20 mm across with pink or lilac lobes and a yellow throat.Leaves are cylindric or elliptic in cross-section.